Material carryback is what is commonly referred to as any excess fugitive material that sticks to the underside of the return belt beyond the discharge point at the head pulley. There are 2 main causes why it can create serious operational problems. Carryback on the return belt will accumulate underneath and along the conveyor. These areas might be walkways and so will create an increased risk to personal safety in the form of slips, trips and falls. If attempting to remove carryback manually, most often the carryback falls and collects in awkward spaces and any manual labour allocated to remove the carryback is at risk of injury. The carryback can increase dust pollution for the environment and create conveyor roller damage and conveyor belt damage. 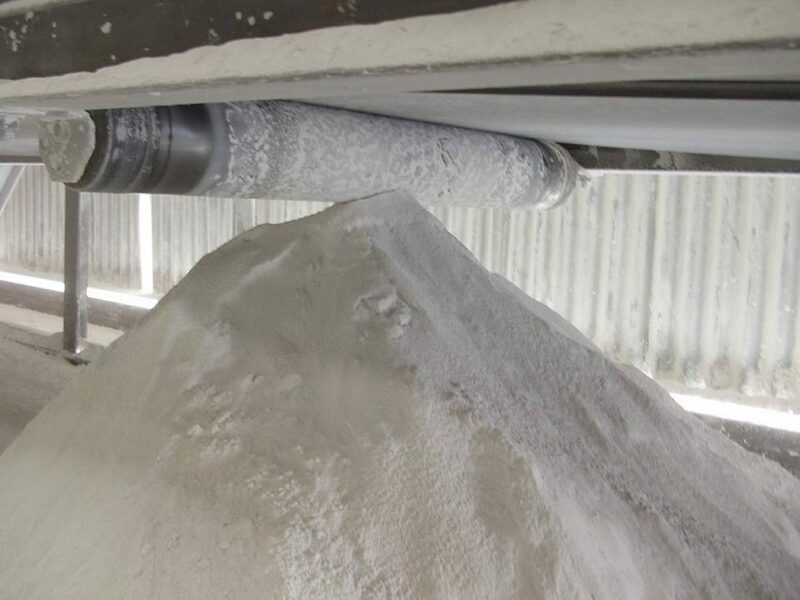 Carryback build up on conveyor hardware causes belt mistracking, conveyor belt and structural damage, and is a major cause of material spillage. Fugitive material may bury idlers, conveyor components, or structural supports, requiring expensive clean-up labour and replacement parts. Install belt cleaners to reduce the amount of carryback adhering to the return belt.